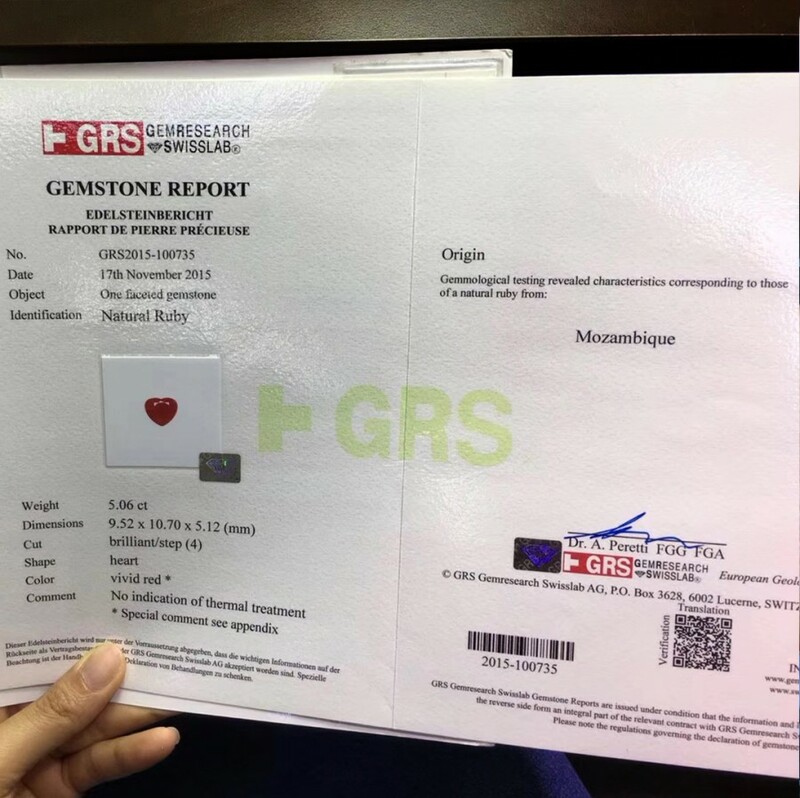 Grade：Natural Ruby* (GRS), untreated, vivid red color, heart shape, white gold and diamonds. 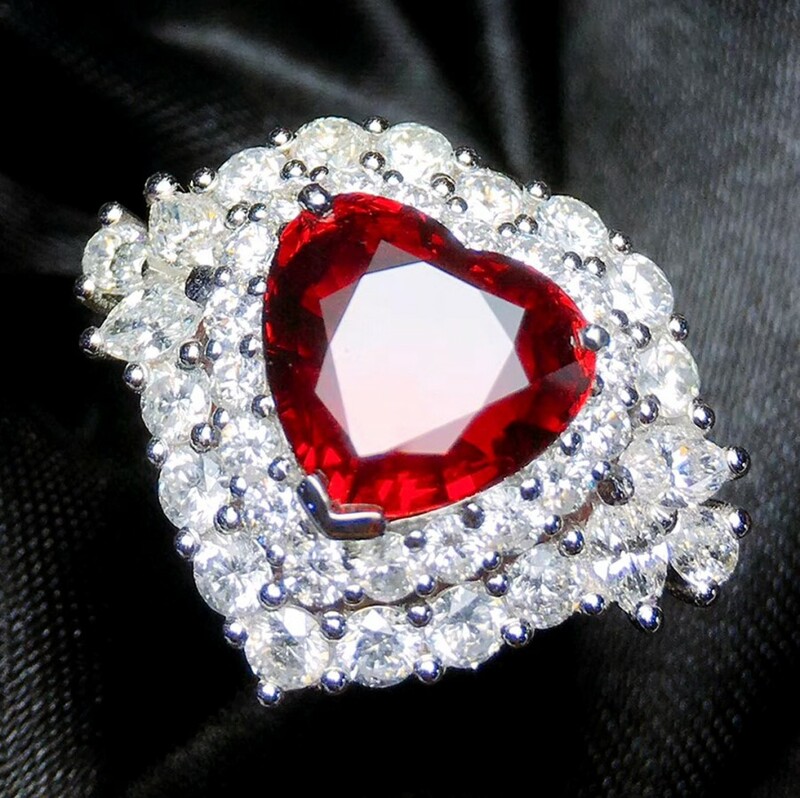 Weight：5.06ct (ruby), 2.6ct (diamonds), 10.36g (white gold). 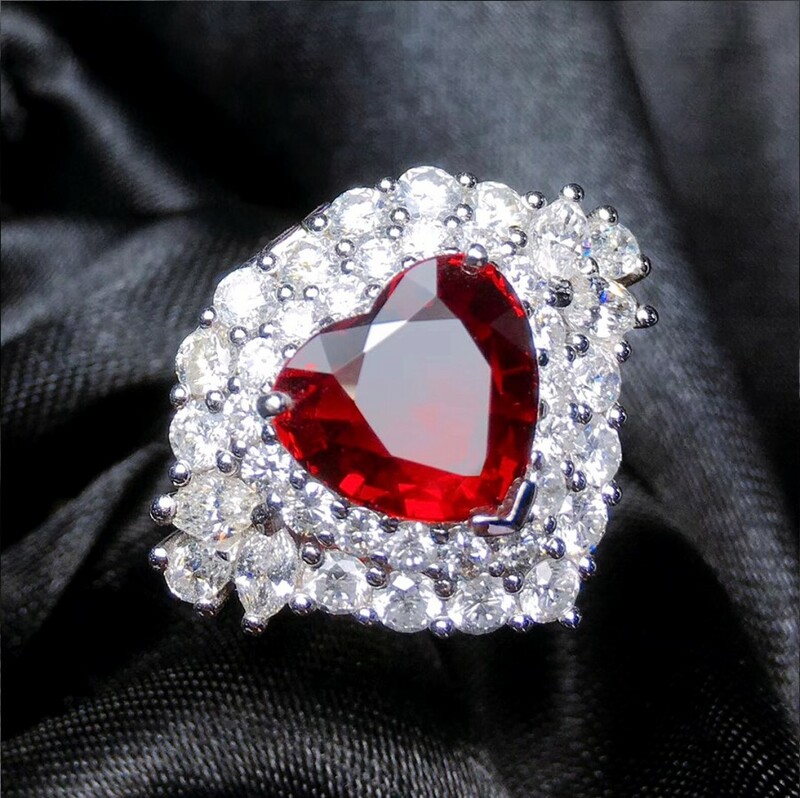 * Ruby is considered one of the four precious stones, together with sapphire, emerald and diamond. Ruby is July’s birthstone. It is also the gem for 15th and 40th anniversaries. 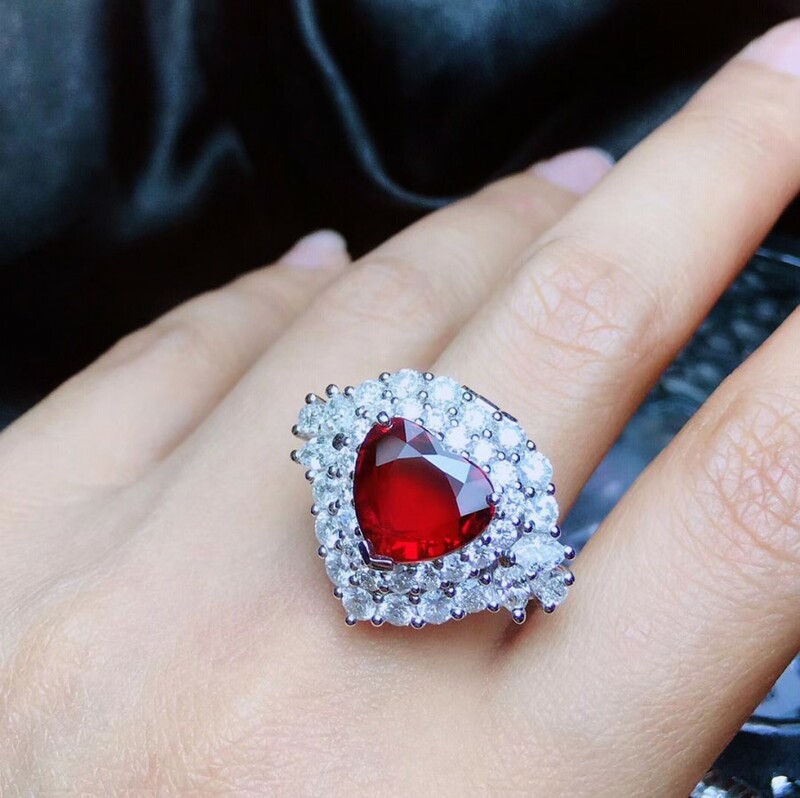 Ruby is the symbol of passion, making it an ideal romantic gift. It is often associated with the objects of desire, wealth and success. The color of a ruby is due to the element chromium. 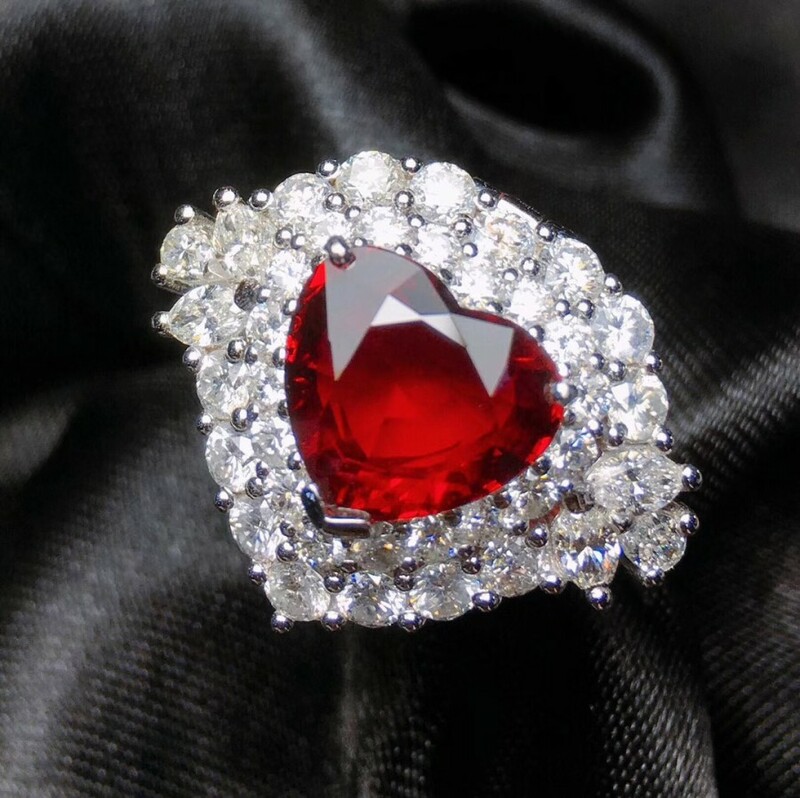 The quality of a ruby is determined by its color, cut, and clarity, which, along with carat weight, affect its value. The brightest and most valuable "red" called blood-red or "pigeon blood", commands a large premium over other rubies of similar quality. After color follows clarity: similar to diamonds, a clear stone will command a premium, but a ruby without any needle-like rutile inclusions may indicate that the stone has been treated. The natural, unheated and untreated ruby is exceptionally rare. The 8.62 carat cushion-shaped “Graff Ruby” from the Collection of Dimitri Mavrommatis, which established a world auction record for a ruby at $8,600,410 in 2014. The Sunrise Ruby sold for a record US$30.42 million on 12 May 2015 at a Sotheby's auction in Geneva, Switzerland. Its record-setting price has been attributed to the rapid increase in prices for coloured gemstones and public auctions and often "rivaling the performance of the much-sought-after colored diamonds".